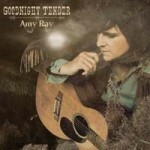 FTB Show #245 features the first country album by Amy Ray (Indigo Girls) called Goodnight Tender. 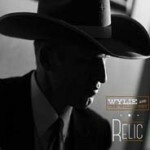 Also new music from Buzz Cason and Robert Ellis. Here’s the iTunes link to subscribe to the FTB podcasts. Here’s the direct link to listen now! 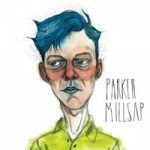 Here’s the RSS feed: http://ftbpodcasts.libsyn.com/rss. Freight Train Boogie podcasts also air weekly on RootHog Radio and on Rob Ellen’s Flyinshoes Review. You can buy the Freight Train Boogie Americana Android App from Amazon for only $1.99. This entry was posted in Americana Music, Americana Music podcast, Music, podcast, roots music and tagged AMY BLACK, AMY RAY, BLAKE BERGLUND, BUZZ CASON, GORDIE McKEEMAN AND HIS RHYTHM BOYS, I SEE HAWKS IN L.A., KENNY ROBY, PARKER MILLSAP, ROBERT ELLIS, SARA JEAN KELLEY, STILLHOUSE, WESTBOUND RANGERS, WYLIE AND THE WILD WEST. Bookmark the permalink.